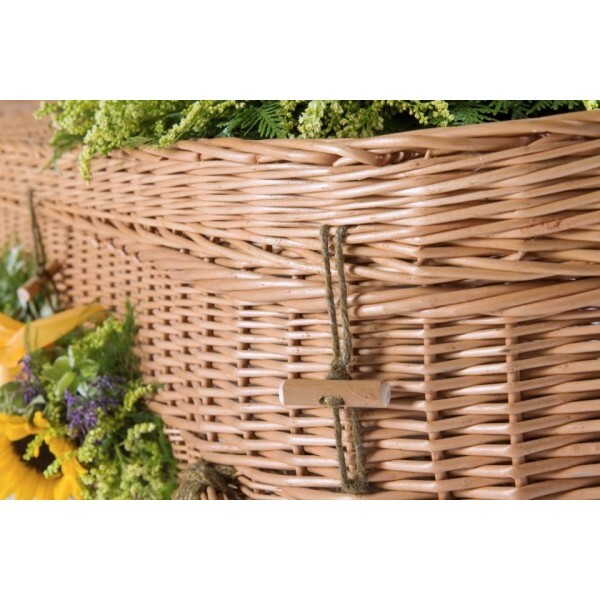 --- Please Select --- Premium Willow - L 5' 3" x W 17" Premium Willow - L 5' 7" x W 19" Premium Willow - L 5' 11" x W 21" Premium Willow - L 6' 0" x W 27" Premium Willow - L 6' 2" x W 23" Premium Willow - L 6' 4" x W 23"
Biodegradable coffins sold at affordable prices. 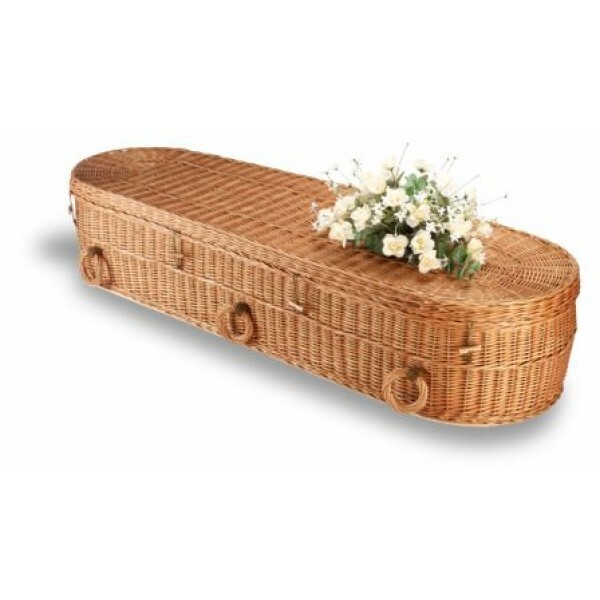 Suitable for burial, cremation or woodland burial grounds. 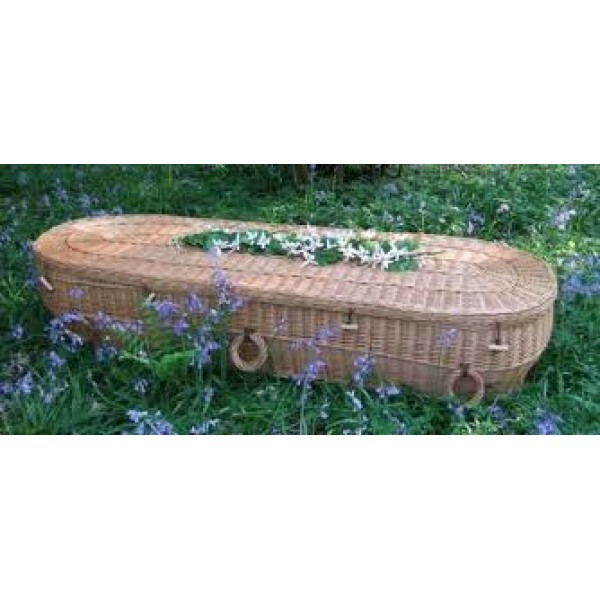 This coffin is a truly natural alternative over other biodegradable eco friendly coffins as they provide the strength and rigidity of more traditional styles. 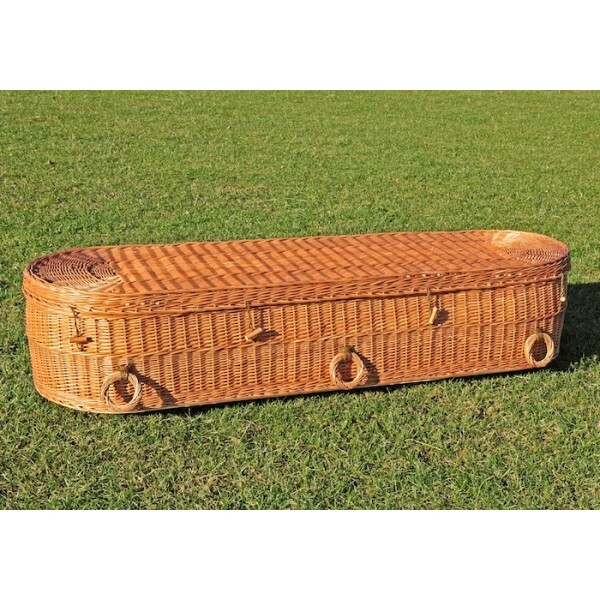 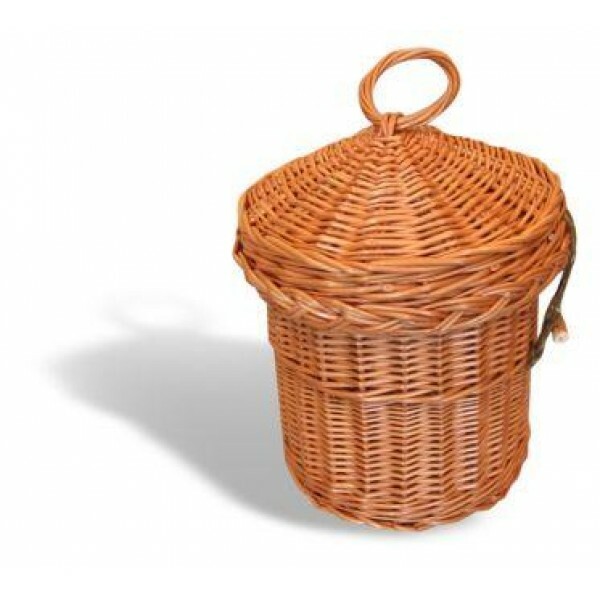 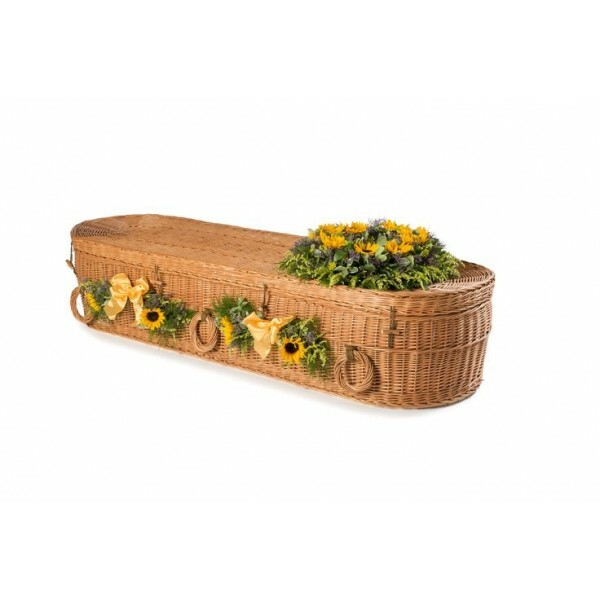 With a tasteful decorative exterior, the hand woven wicker coffin has a sturdy construction. 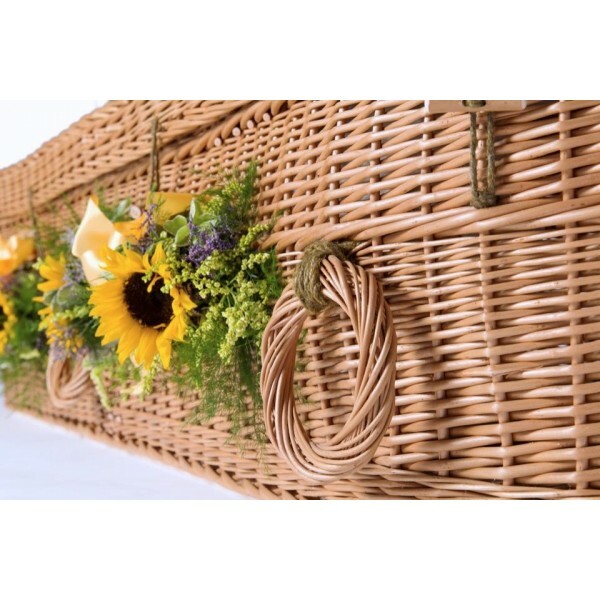 Our Premium Wicker coffins are an increasingly popular choice as they look great and are very eco-friendly as they are both carbon neutral and easily sustainable. 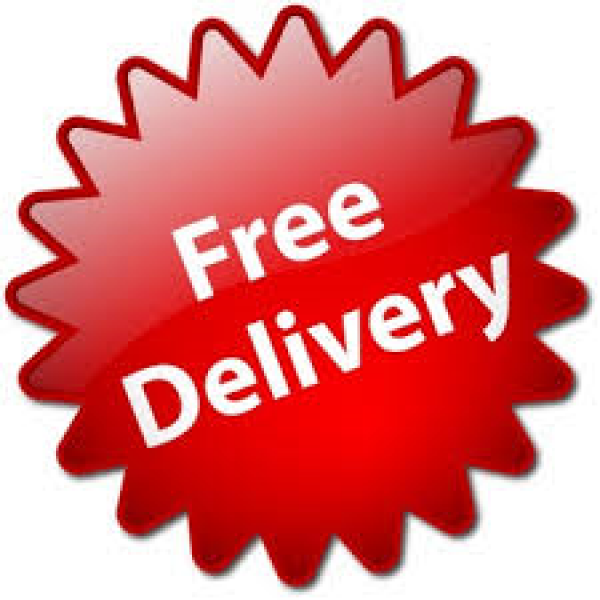 All these great prices include FREE UK SHIPPING to the address you specify!